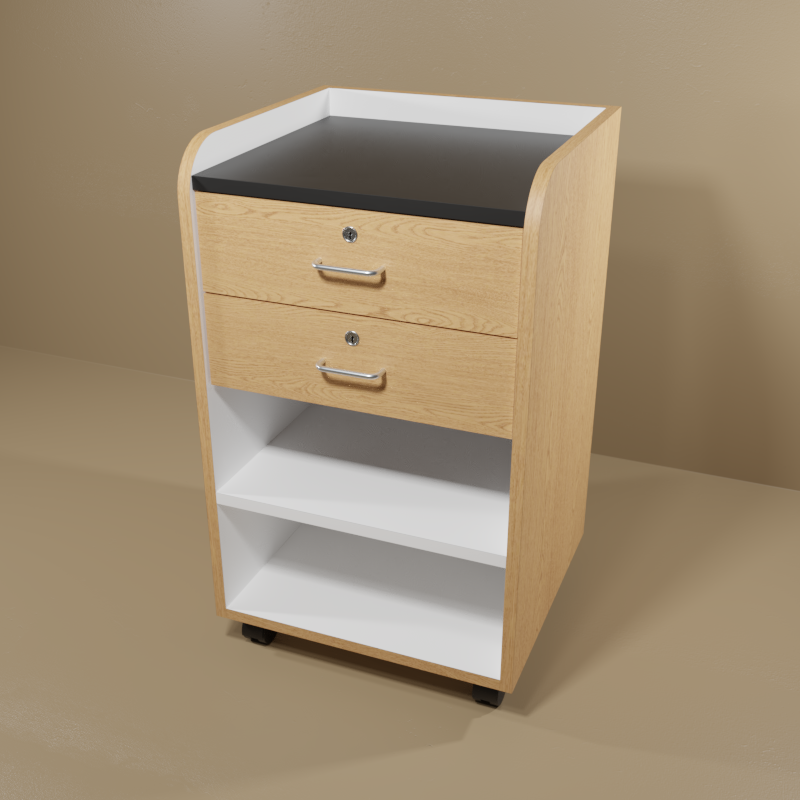 The heavy-duty Phlebotomy/Supply Cart/Cabinet is laminated for durability, has PVC edges to prevent chipping and comes fully assembled. 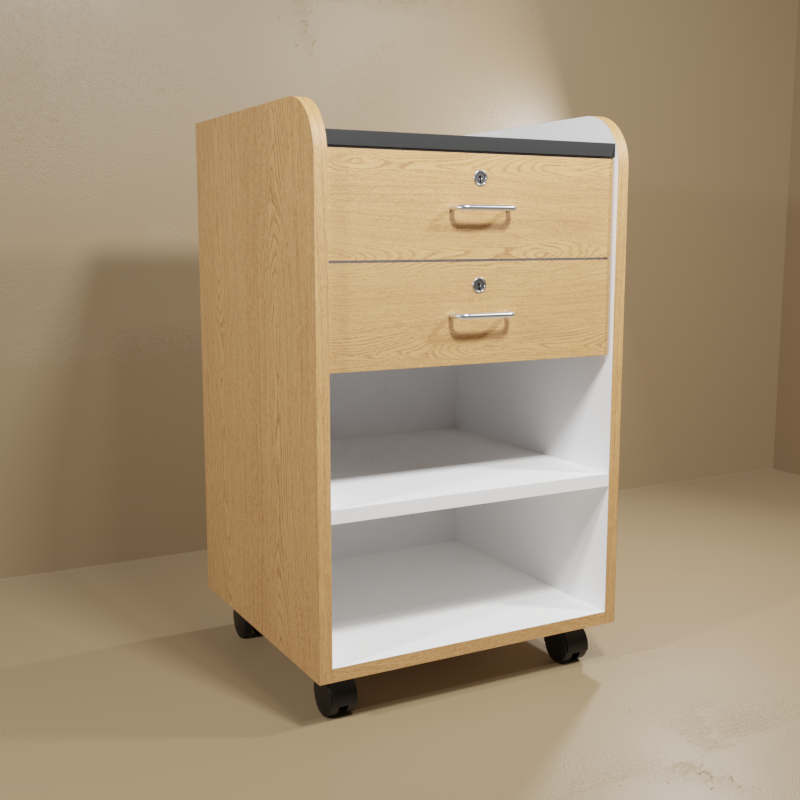 It has easy rolling casters, satin wire pulls on the drawers and locks on the drawers. Square-edge tops come with backsplash. Wood grain with black top.